I have taught English for some time now and have seen what is popular with my students. Today I would like to share with you a short clip from one of my most favourite sitcoms: Fawlty Towers. The scene is called: ‘The room with a view’. Why do I use it to teach English? Simply because I find sarcasm quite important to understand from both the tone and language. I was once a learner too and I had a fascinating journey of learning about sarcasm. The biggest challenge was to learn how to use it simply because I thought it was quite funny. Now, you have to remember, that sarcasm can be quite mean too and that it’s not always a good idea to be sarcastic. However, I think you would agree with me that it can be quite funny watching it on telly. Before you watch the masterpiece of the British comedy, I would like to teach you a couple of words and expressions used in it to make it easier for you to understand it and enjoy it. 1. If you were Spanish, you would pronounce ‘g’ as ‘h’. This is why Manuel says ‘manaher’. 2. To drown means to kill someone by submerging them in the water. 3. VAT is Value Added Tax that you need to pay on any purchase you make. 5. 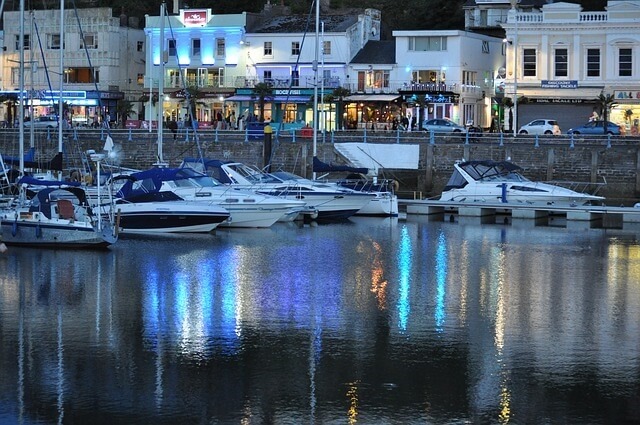 Torquay is a seaside resort town in the South West of England. 6. 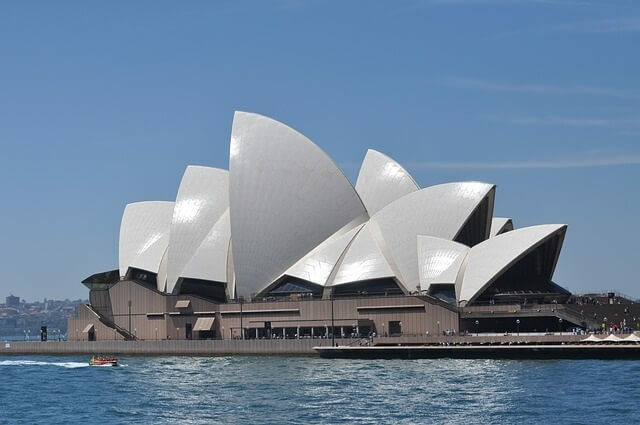 Where can you find the Sydney Opera House? Clearly, not in England. 7. Wildebeests are African antelopes and the spelling is rather strange. This word comes from Afrikaans. Another name for antelopes is gnu (‘g’ isn’t pronounced). When you talk about large amounts of antelopes or cows, you usually say ‘a herd of ….’. If it’s sheep, you say ‘a flock of sheep’. Guess what you say when you talk about fish? A school of fish! 8. 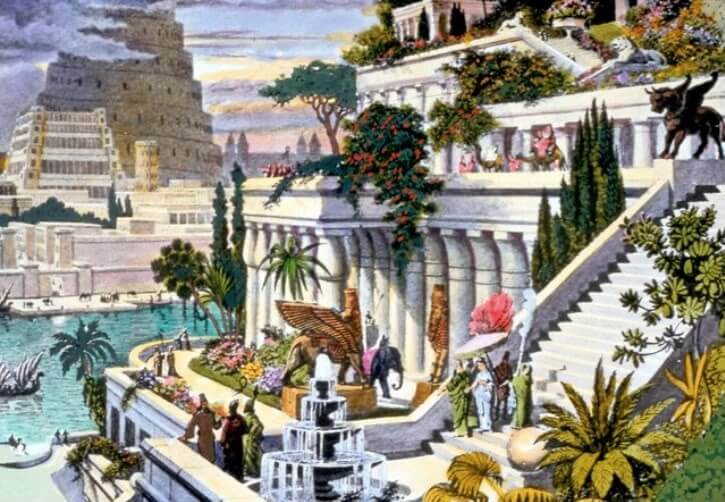 The Hanging Gardens of Babylon were considered one of the Seven Wonders of the World. Their replica is located in Iraq. 9. 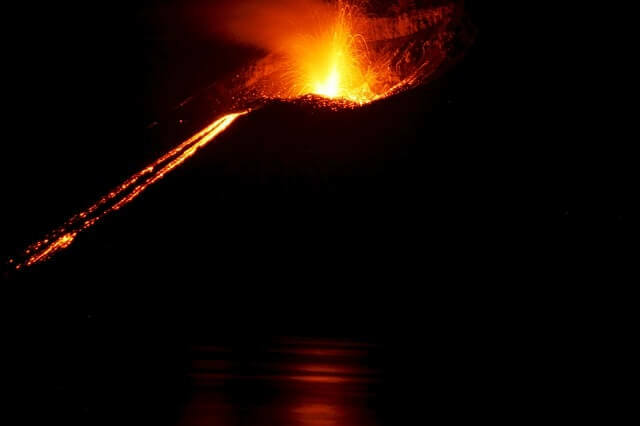 Krakatoa is the name of a volcano in Indonesia. Now you can watch the video. See if you can hear the words I’ve just talked about. Then watch again and read from the script. Try to identify sarcasms. How do you know when it’s sarcasm? You can leave your comment in the Comment box below. And here is the script you can go through after watching the video. Basil: Good morning Madam. Can I help you? Mrs Richards: Are you the manager? Basil: I am the owner, Madam. Basil: I am the owner. Mrs Richards: I want to speak to the manager. Basil: I am the manager too. Basil: I am the manager as well. Mrs Richards: Oh…! You’re What! Basil: …. I’m the manager. Basil: I am the manager. Mrs Richards: Yes, I know, you’ve just told me. What’s the matter with you? Now listen to me! I’ve booked a room with a bath. When I book a room with a bath, I expect to get a bath. Basil: You’ve got a bath. Mrs Richards: I’m not paying seven pounds twenty pence per night plus VAT for a room without a bath. Basil: There is your bath. Mrs Richards: You call that a bath? It’s not big enough to drown a mouse. It’s disgraceful. Basil: (muttering) I wish you were a mouse, I’d show you. Mrs Richards: And another thing! I asked for a room with a view. Basil: (to himself) Deaf, mad and blind. This is the view as far as I can remember, madam. Yes, this is it. Basil: That is Torquay, Madam. Mrs Richards: Well, it’s not good enough. Basil: Well … may I ask what you were hoping to see out of a Torquay hotel bedroom window? Sydney Opera House perhaps? The Hanging Gardens of Babylon? 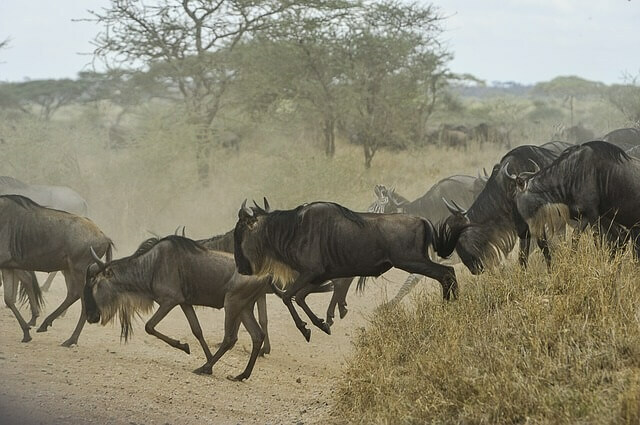 Herds of wildebeeste sweeping majestically … ? Mrs Richards: Don’t be silly. I expect to be able to see the sea. Basil: You can see the sea. It’s over there between the land and the sky. Mrs Richards: I’d need a telescope to see that. Basil Fawlty: Well, perhaps you should consider moving to a hotel closer to the sea. Or preferably in it. Mrs Richards: Now listen to me! I’m not satisfied, but I have decided to stay here. However, I shall expect a reduction. Basil: Why? Because Krakatoa’s not erupting at the moment? Mrs Richards: Because the room is cold, the bath is too small, the view is invisible and the radio doesn’t work. Basil: No, the radio works. You don’t. Basil: I’ll see if I can fix it, you scabby old bat. [He turns the radio on to the limit.] Basil: I think we got something then! Basil: I think we got something then! Mrs Richards: What are you doing? Basil: Madam, ….. don’t think me rude, but may I ask …. do you by chance have a hearing aid? Mrs Richards: Yes, I do have a hearing aid. Basil: Would you like me to get it mended? Mrs Richards: Mended? It’s working perfectly all right. Mrs Richards: I haven’t got it turned on at the moment. Mrs Richards: The battery runs down. Now what sort of reduction are you going to give me on this room? Basil: (whispering) sixty per cent if you turn that on. Basil: My wife handles all such matters, I’m sure she will be delighted to discuss it with you. Mrs Richards: I shall speak to her after lunch. Basil: You heard that all right, didn’t you. Basil: Thank you so much. Lunch will be served at half past twelve. Manuel Manuel! From one Anna to another. Many thanks for putting this on the net, it has saved me a lot of work! (I teach English in Finland). I have been using this in class and it has proven to be a success. I would like to add something onto the page about the intonation and specific references to sarcasms. Haven’t had time lately though. Thank you.